The European Chamber of Commerce in Vietnam (EuroCham) has expressed concerns that the plan to ban motorbikes in Hanoi, Danang and HCM City would badly affect socio-economic development. According to the EuroCham, motorbikes play an important role in the daily lives of people and business. It is the most convenient, flexible and economical mean of transport, especially in big cities with constant congestion like Hanoi and HCM City. The infrastructure in the cities will not be able to meet transport demand for the next decade. Which is why banning motorbikes would be an unwise decision. The motorbike manufacturing industry has been important to Vietnam for a decade, bringing benefits to both the domestic market and export industry with huge tax contribution and job opportunities. EuroCham suggested that Vietnamese government should learn from Taiwan to improve infrastructure and public transport instead of banning motorbikes. The government should also consider the actual needs of people to make the plan feasible and avoid negative economic impacts. A representative of EuroCham said, "The government should only manage or ban out-dated motorbikes that cause environmental pollution. The Indian government has banned motorbikes that have been used for over 20 years and raised public awareness over traffic safety and regulations." If the Vietnamese government is keen on banning motorbikes, it should consider popularising e-bicycles which are suitable for alleyways. 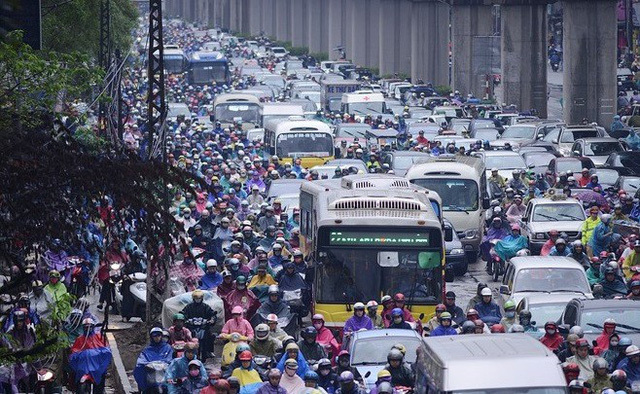 On July 4, Hanoi approved the plan to tighten management over city transportation to reduce congestion and pollution during 2017-2020 period, with a view to 2030. Motorbikes will be banned from the city's centre from 2030. Danang City authorities approved the plan to tighten management of private vehicles on July 7 and planned to stop having new motorbikes in 2028. HCM City authorities also discussed the proposal to ban motorbikes.